You will love the blue skies, blue water, and white sand of Siesta Key. It’s a brilliant place to be. No matter where you stay, you are never far from these magnificent waters and silky sandy beaches. You have plenty of locations to choose from among the beachfront condos, to the quaint little interior homes, there’s a lot to look at. But at the end of the day, we know you want a spot on the beach. What makes a wonderful beachfront unit rental anyway? It’s more than just the beach, or else all of them would be exactly the same. 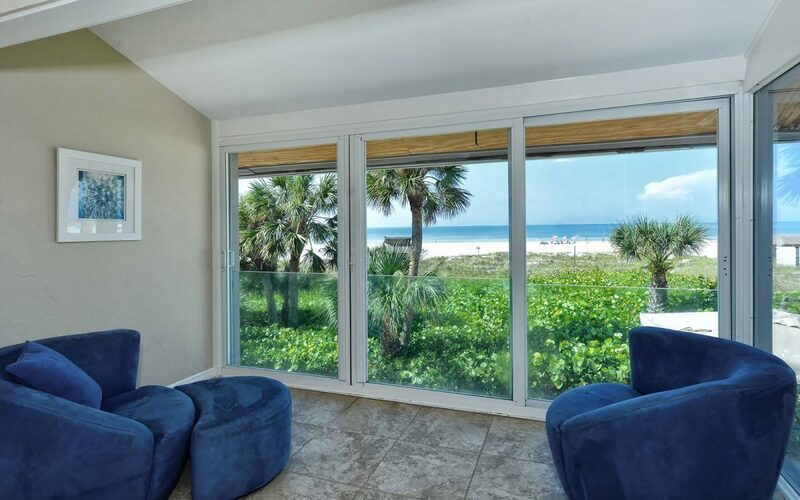 Not all Siesta Key beachfront condos are created equal, and we give you the tips to finding the best rentals. If the unit is on the beach and it is within your budget, it could be a good pick. But we suggest you look a little further to get something exceptional. Below are some quick tips for finding the best unit. While you may indulge in the many amazing Siesta Key restaurants on the majority of the trip, you at least should have the option to cook at the rental. We offer numerous rentals with incredible kitchen designs, as we load them with convenient amenities. Full furnishings and spacious layouts give you plenty of space to prepare for a proper meal. Don’t just take a microwave and mini-fridge. Some units advertise a quick walk to the beach, and that is certainly a lovely feature. But you want to confirm the view. Do you have an uninterrupted view of the water? Do you have to part the Red Sea of thick Florida foliage to get to the beach? Do you need to cross a major street? We suggest you confirm both a clear view and convenient access to the beach with our property map. You may be able to smell the beach, but can you get there? We suggest you look for a unit that advertises clear and convenient parking. Many rentals focus on the property, but forget to tell you those often overlooked details- you need to park across the street! Worse, you have to pay! Make sure you land a location that has convenient or even private parking. We have private driveways on many of our rentals, so you never have to fight for a spot. Any list like this is a little subjective, but we are proud to offer some highly-reviewed and beloved beachside rentals for you to take a peek at. This 1-bedroom unit is a delight. Share the views with your significant other. 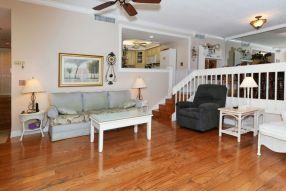 The wide open living space and breakfast bar are great places to relax, simply and purely. 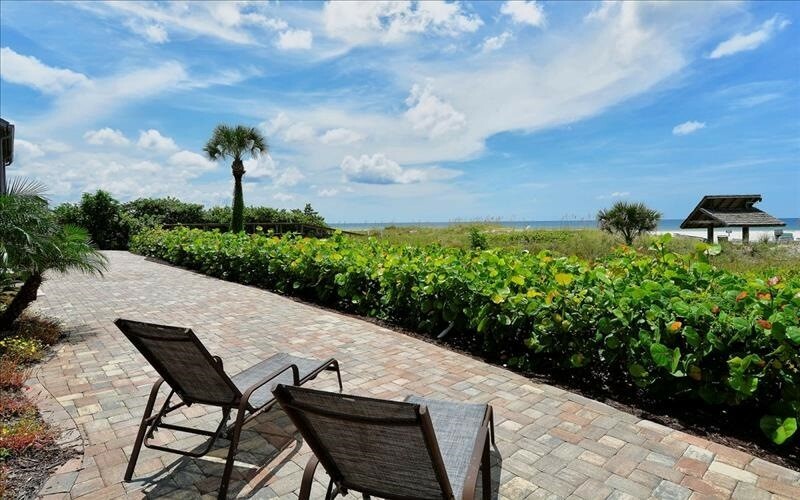 There’s a lot to admire about this luxurious 2-bedroom unit right at Crescent Beach. We love to show off the spacious patio space, with a cozy lanai, nice table area, and brilliant views of the gulf. We love the light in this airy 2-bedroom unit. The recessed lighting adds an extra level of comfort and ambiance as it flows gracefully throughout the space. The uninterrupted view of the gulf is spectacular and the granite countertops are a lovely addition. This 3-bedroom open concept floor plan invites you into a bold and beautiful living space. Take advantage of the recessed lighting, the breakfast bar, and the lanai with some of the best beach views anywhere. We love Siesta Key and we know you will too. Book your vacation escape today and find yourself in this lovely little island on the Gulf coast of Florida.